Here at Protecht we value ourselves in two key areas; SAFETY and QUALITY. These areas have provided the framework for continually maintaining and improving our training and management systems throughout, thus ensuring that we not only have continuous monitoring processes in place but also ensure that we regularly review and improve our systems and procedures based on these findings. We will provide all site specific risk assessments and method statements for each and every task that we carry out, we can also supply COSHH assessments, PAT testing information upon request. We have an excellent record and reputation for promoting the health, safety and wellbeing of all who may be affected by the works on a daily basis. This has been achieved by continually working together with our clients ensuring that we work within their policies and best practices in line with our internal safety methods. We are fully insured to the sum of £10,000,000 in employers and public liability (each). 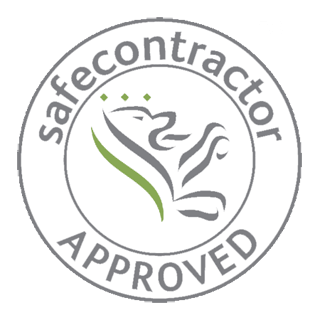 We are accredited to Safe Contractor, CHAS, IPAF, PASMA, BESA, SSIP, NAAD and ISSA.